In 2008 when I purchased my '97 FZJ80 I immediately did suspension changes and then replaced the tires with Toyo Mud Terrains. I'm up in the local California mountains often every winter. What makes driving on the local mountain roads most dangerous in the snow are all those that drive up here to go sledding or just up here to enjoy the snow. 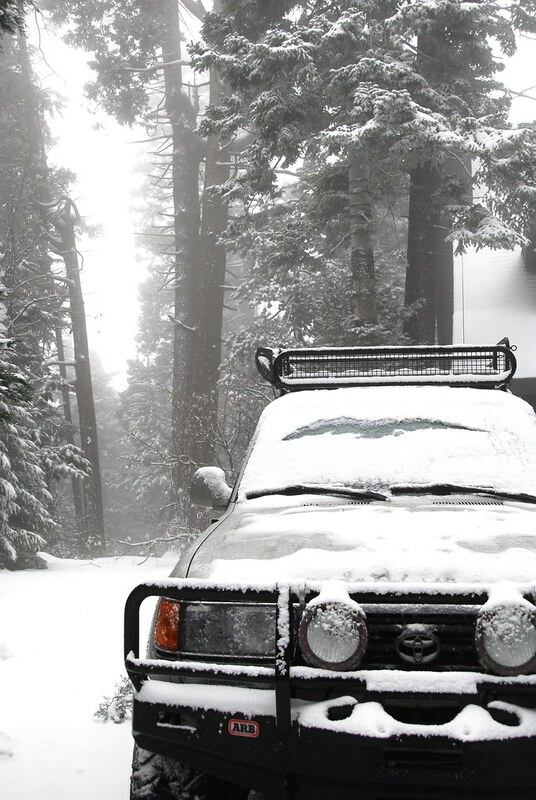 Many have almost no experience driving in the snow, most don't have chains. Yesterday after spending time with friends about 10 miles away, on our way back to the cabin it started to snow heavily. Immediately going up the hill all the cars and pickups with narrow profile tires started to slide around the road and to the side of the road. We pulled to the side to avoid some of the vehicles. A family in an SUV approached us and said they had chains but did not know how to put them on. I put on one of the chains for them then showed the driver how to do the other. All this time seeing cars sliding around and hearing crunching metal further down the road. I was concerned for my safety and the safety of my family waiting in our Land Cruiser parked on the side of the road. Once done with the chains we continued back to the cabin, weaving uphill between other vehicles stopped or wheels spinning. 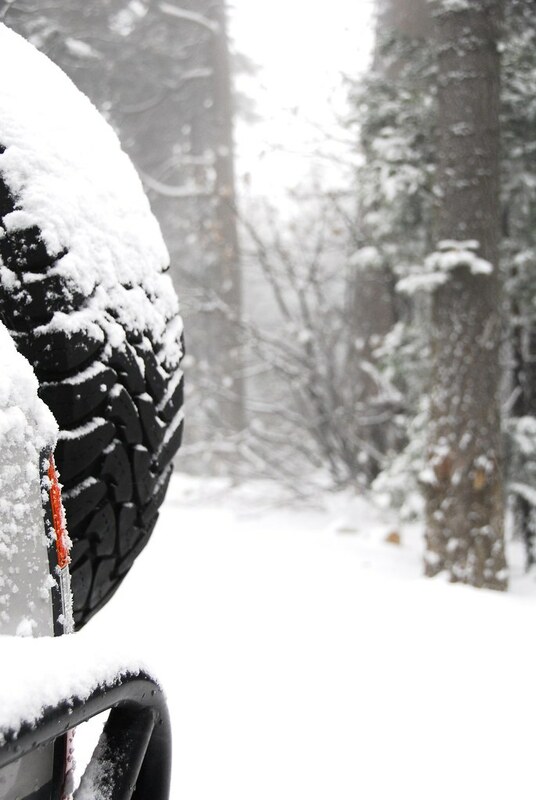 All the while the Toyo Mud Terrains had a firm grasp on the snow and ice. This is my second set. The first set I was able to coax over 70,000 miles. I've been impressed with their snow, ice, sand and rock performance.